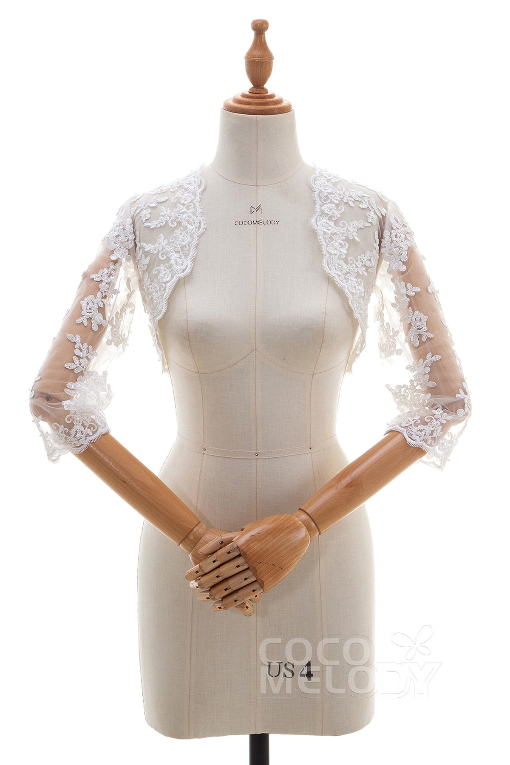 Today we’re showing you a quick and easy way to add sleeves to a wedding dress. You can call it a bolero, a capelet, a shrug, a wrap, a topper, or a cover-up… we call it the easiest way to change up your wedding dress in a snap. If you’re wondering why one would add sleeves to a wedding dress anyway, here’s a few reasons why brides are doing it. It makes total sense, really, depending on the look you’re after. Some brides add sleeves solely for the look. A dress looks surprisingly different with the addition of sleeves. 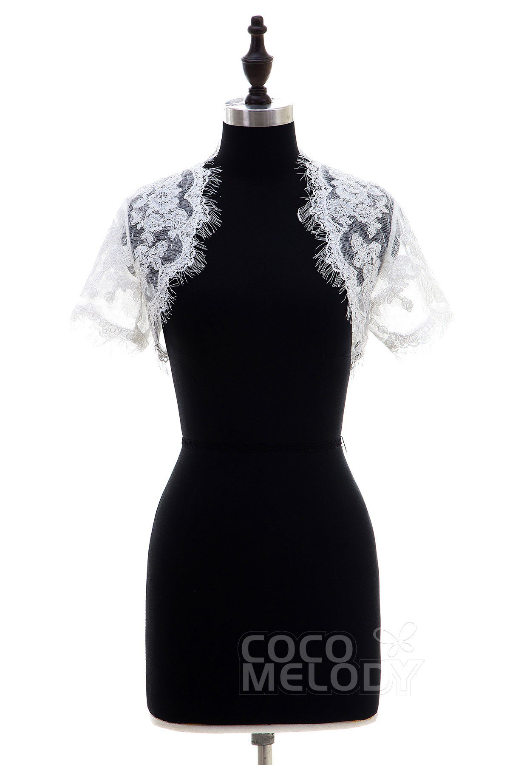 A more casual dress looks more elegant with a lace bolero or wrap; a less expensive dress can look more custom and tailored by adding sleeves to it. You can buy a dress like this and add sleeves to make it look more formal. 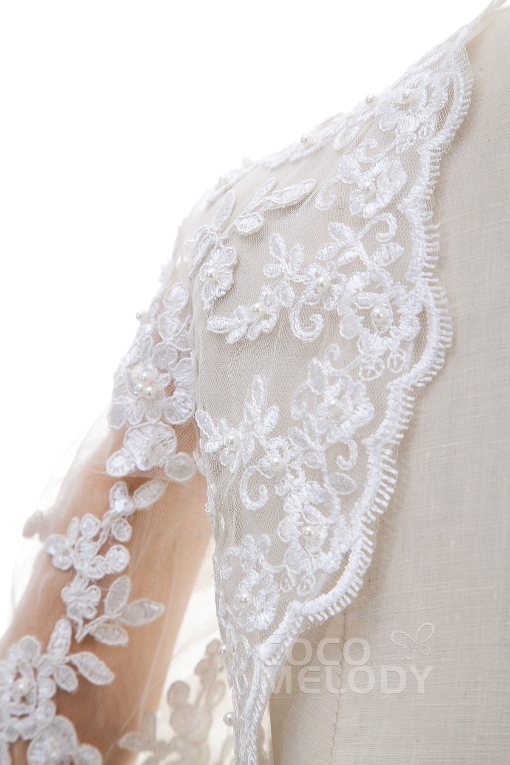 Some brides are choosing a simple, understated dress and adding a lace bolero or topper to it. This gives the illusion of a custom-made dress, totally personalized the way you want it and usually at a huge fraction of the price. Some brides add sleeves solely for the ceremony, particularly in a place of worship where bare shoulders or open backs and low cuts may be frowned upon. Although illusion lace sleeves might not warm you up as a fur shawl will, lace boleros and wraps are still a favorite among brides because they are made to look like they’re designed into the wedding dress itself. Fur (faux) shawls or stoles are beautiful, yet are an obvious add-on; some brides want the look of their dress and topper to be cohesive. To wear a custom topper, bolero, wrap, or add sleeves to a wedding dress is one way brides are choosing to personalize their look. 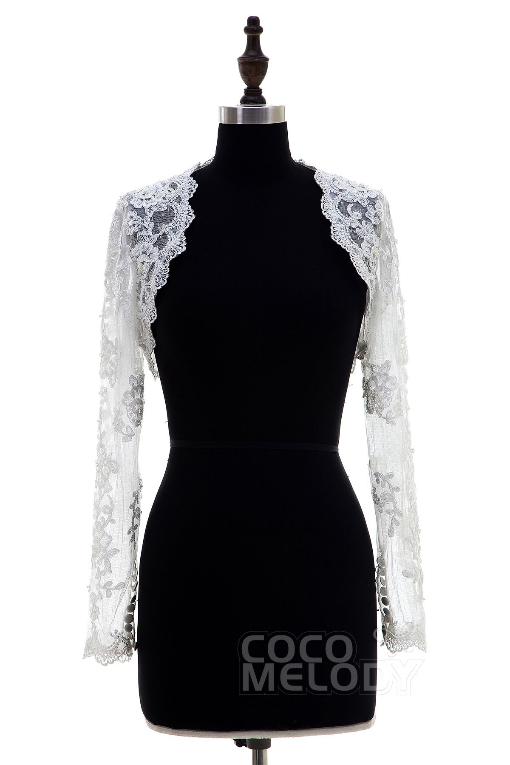 Choose sleeve lengths, lace style (vintage, illusion, etc. ), classic bridal buttons, or something blue, just to name a few. Maybe you thought you would like the strapless look but want to change it up; perhaps you just want to add sleeves to your dress for your bridal photos to mix things up. 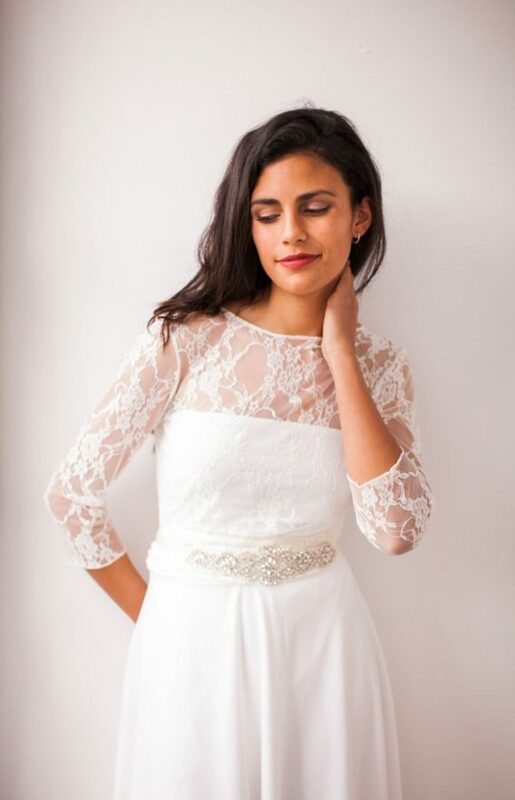 Whatever the reason, there’s a really easy way to add sleeves to any dress and it is a heck of a lot easier than asking your bridal gown designer to re-design your entire dress. Today we’ll show you how to add sleeves to a wedding dress with a variety of options including three-fourth sleeves, full length long-sleeves, cap sleeves, and more. Enjoy! 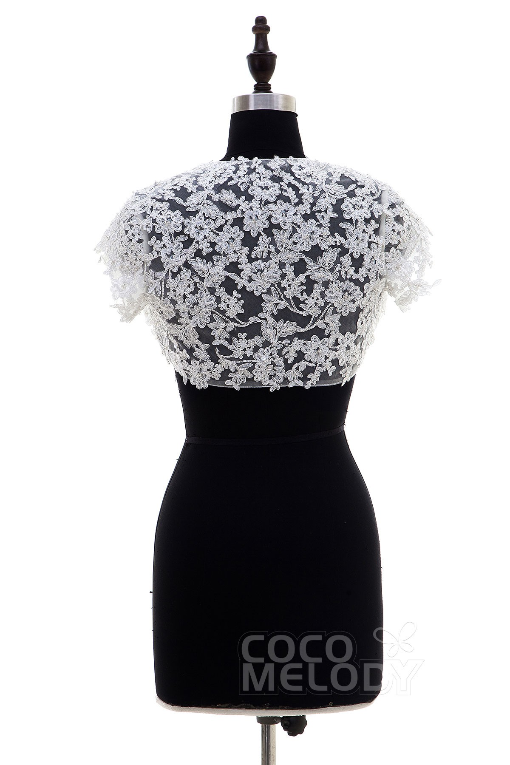 Head over to Polina Ivanova’s shop to see this beautiful dress topper! Click here to see it! 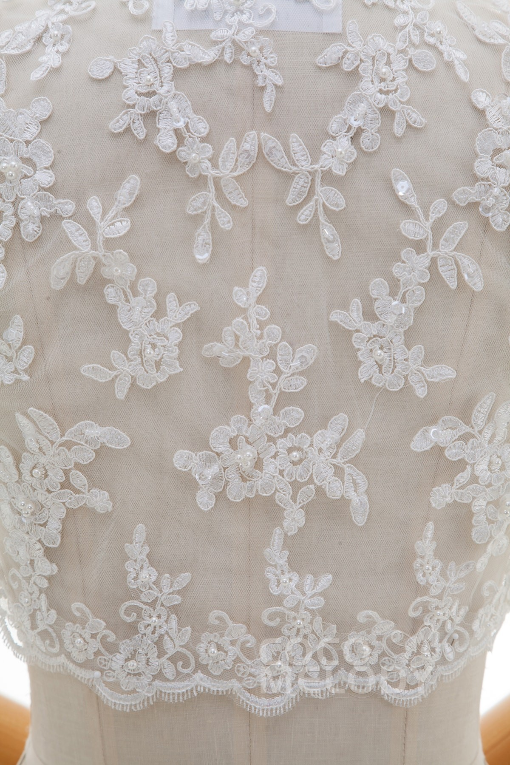 Last but not least, brides love adding sleeves to wedding dresses to get that classic bridal buttons-down-the-back look. See our top pick by PolinaIvanova. here! And there you have it. 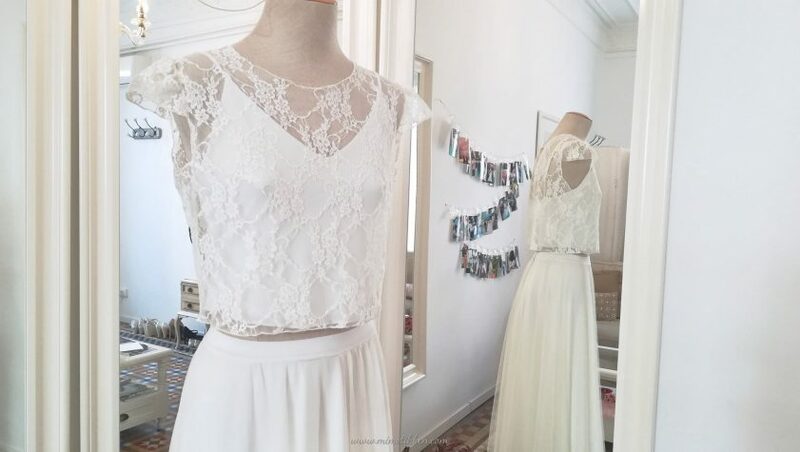 Now you can see how easy it is to add sleeves to wedding dress / wedding gown / turn a one piece dress into a two-piece separates look. Which of these options is your favorite? 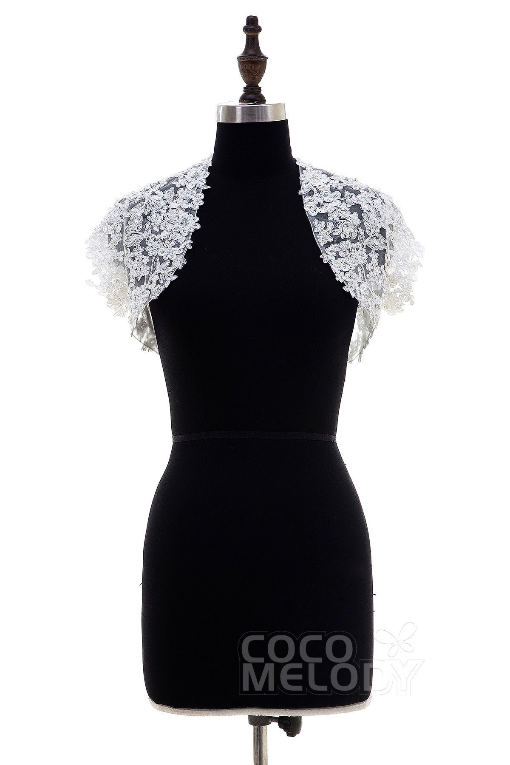 Are you wearing a bolero, topper, or wrap? Why or why not?